Official Memorabilia, in conjunction with the Richmond Football Club and the AFL, is proud to release ‘The Honour Roll’. 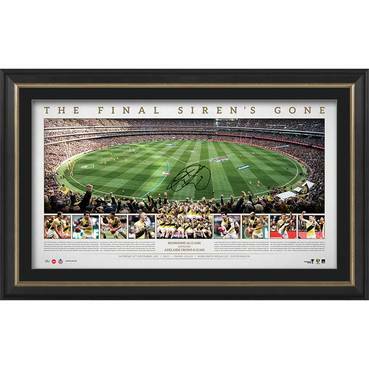 This magnificent piece pays tribute to the rich history of the Richmond Football Club, capturing its Premiership history in pictorial detail, along with those recognised as Brownlow Medallists, Norm Smith Medallists and Coleman Medallists. 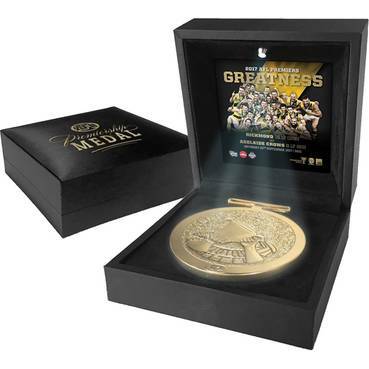 Updated to include Richmond’s 2017 Premiership triumph and Dustin Martin’s Brownlow and Norm Smith listings, each edition presents with a complete set of replica medals paying homage to the highest honours on offer to a Richmond footballer. 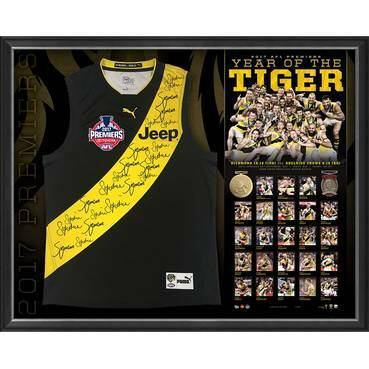 ‘The Honour Roll’ is the definitive nod to individual and shared success for all Tigers fans and astute collectors alike, so don’t miss out – secure your edition before stock runs out!